The information below provides quick links to the application forms for the consular services indicated. For detailed information, please visit the Consular Section or Other Consular Services. Kindly ensure that you have the latest PDF-reader installed in you computer to be able to fully access the application forms below. Find out if you require a visa to enter Kenya here. All Kenyans must apply for an ePassport on www.ecitizen.go.ke and submit their application in person at the Embassy, after booking an appointment. The exact time-frame when this will be possible will be made known on this page. We encourage passport applicants to fill in the Registration Form, which is available on No. 3 below, and send it to the Embassy to ensure that you are officially registered with the Embassy. This is a voluntary requirement and it will not affect your passport application in any way. This is only issued to Kenyan citizens who have without doubt proven their Kenyan citizenship and provided identity documents. You will be required to make an appointment with the Embassy for the issuance of the document. The earliest you can appear is 3 days before the intended date of travelling. 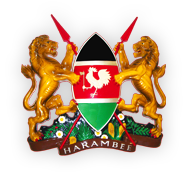 Registration is a free service by the Kenya Embassy for Kenya citizens who are visiting or living in Germany, Bulgaria and Romania. It allows us to have information about you that can help in case of emergencies or if we need to contact you. You only have to register once. Any change of detail must however be relayed to the Embassy via a new Registration Form and in order for your details to be ammended accordingly in our registration database. Only for Kenyans who have attained the age of 18 and above. Children under 18 cannot renounce their citizenship.